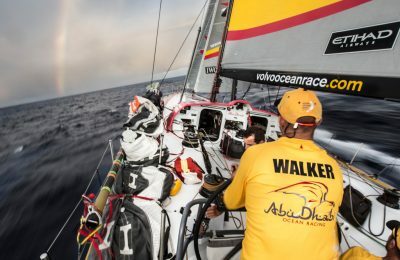 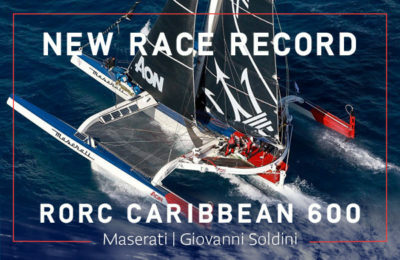 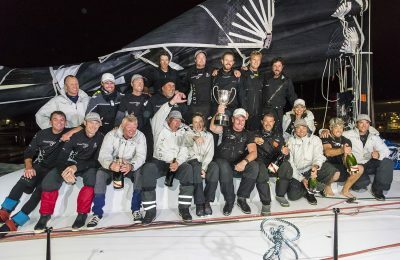 The first record of 2018 was the RORC Caribbean 600 with Rambler 88, followed by Maserati, who blasted from Hong Kong to London in record time. 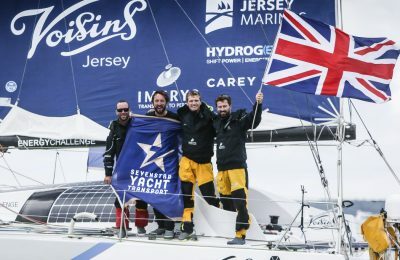 Stephen Murray Jr.’s Volvo 60 Warrior sprinted around Antigua in April and Phil Sharp’s Class 40 Imerys Clean Energy won the Sevenstar Round Britain and Ireland race. 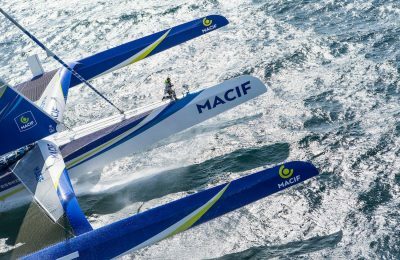 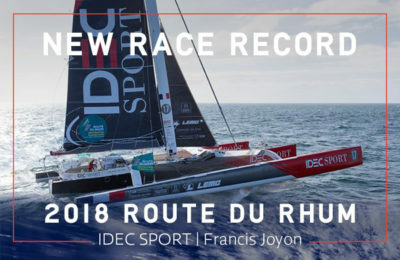 Francis Joyon had an amazing come back in the last 20 miles of the Route du Rhum on IDEC Sport, catching Francois Gabart MACIF just before the finish line. 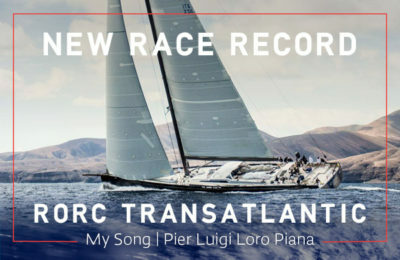 Supermaxi My Song, a Baltic 130 finished in record time in the RORC Transatlantic Race, which would be the cherry on top for her luxurious 2018 racing season. 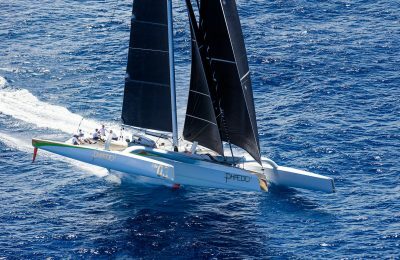 In 2017, Mighty Merloe broke the 20- year old multihull course record in the Transpac, previously set by Bruno Peyron’s Commodore Explorer. 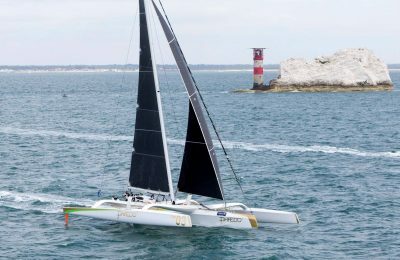 While Mighty Merloe was blasting across the Atlantic, Jim Clark’s Comanche was unstoppable, smashing the monohull course record. 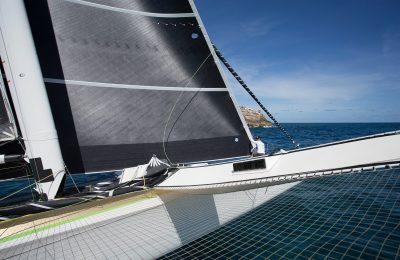 While both of these racing machines require the utmost durability, both boats opted for North’s lightest weight product, North Sails 3Di RAW. 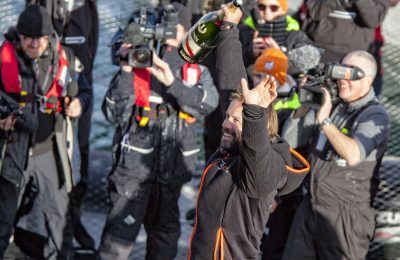 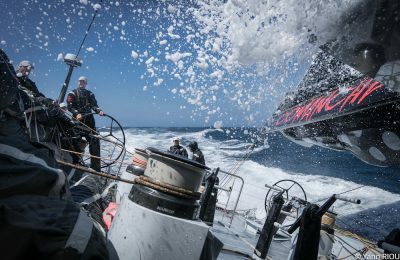 Francis Joyon and his IDEC crew claimed the coveted Jules Verne trophy for the fastest circumnavigation on record: 40 days, on January 26, 2017. 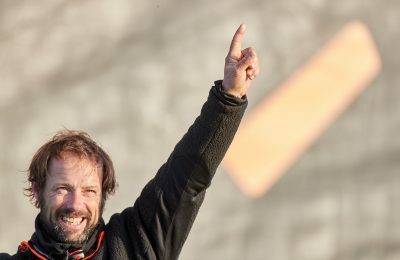 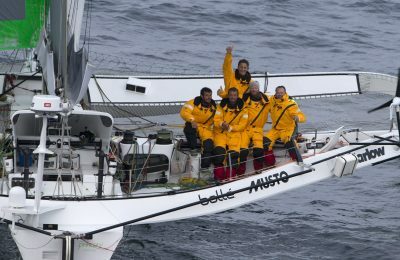 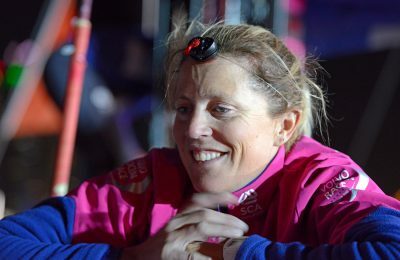 Only six weeks before their historic finish, French sailor Armel Le Cléac’h set the singlehanded monohull around-the-world record (74 days) during his third Vendée Globe – the famous singlehanded offshore race where upwards of 20 skippers start and finish from the port town of Les Sables d’Olonne, France. 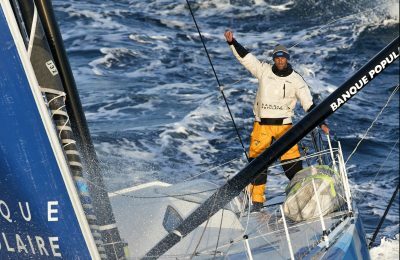 On none other than Christmas Day, Thomas Coville accomplished his life-long goal of completing the fastest solo circumnavigation by any sailor. 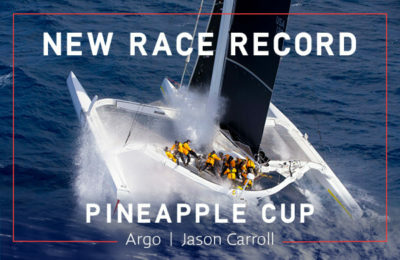 As a matter of fact, he smashed the record by over eight days. 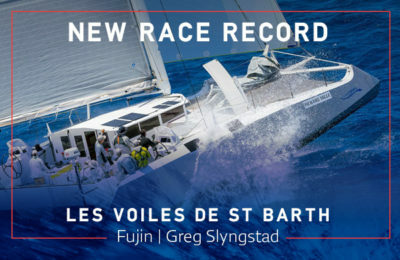 The level of participation and success witnessed in offshore sailing these past few years is perhaps unprecedented, and the advances in sailmaking are proven. 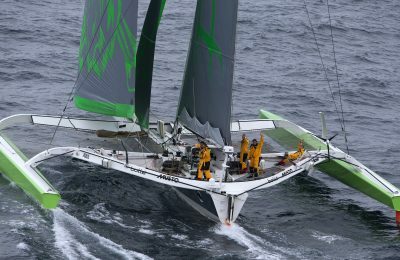 Thomas Coville’s 3Di ENDURANCE mainsail had 75,000 miles (the equivalent of three times around the world) logged when he broke the singlehanded east-about circumnavigation record. 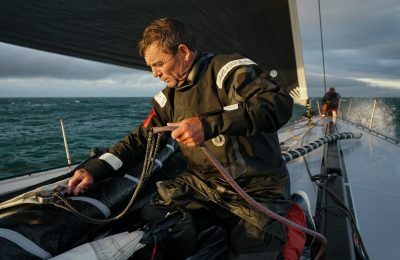 Before 3Di sails went to market, one lap of the globe required multiple sail inventories. 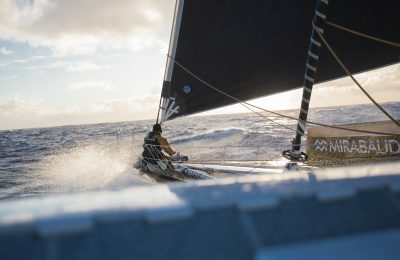 North Sails first introduced its patented 3Di technology in 2010. 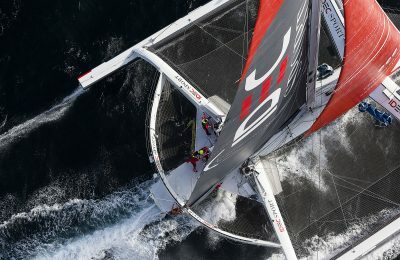 Since then, 3Di has proven itself as a game-changing product on all types of boats, from grand prix to one design. 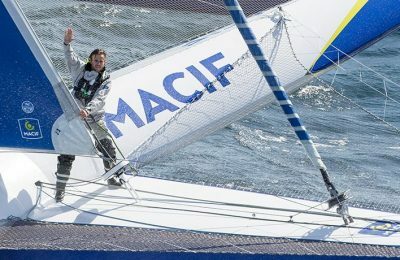 We are proud to help clients set new benchmarks by providing the most trusted and innovative sail technology in the world. 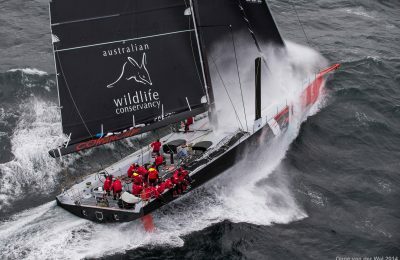 Warrior - Stephen Murray Jr.